Since the Anglo-Norman period itself, the relations beween the English and the Normans have formed a subject of lively debate. For most of that time, however, complacency about the inevitability of assimilation and of the Anglicization of Normans after 1066 has ruled. This book first challenges that complacency, then goes on to provide the fullest explanation yet for why the two peoples merged and the Normans became English. 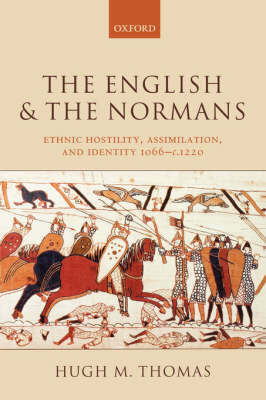 Drawing on anthropological theory, the latest scholarship on Anglo-Norman England, and sources ranging from charters and legal documents to saints' lives and romances, it provides a complex exploration of ethnic relations on the levels of personal interaction, cultural assimilation, and the construction of identity. As a result, the work provides an important case study in pre-modern ethnic relations that combines both old and new approaches, and sheds new light on some of the most important developments in English history.